Because Riseborough speaks little in 2018 films like "The Death of Stalin," "Mandy" and "Nancy," character detail and directorial form become essential to the viewing experience, and how one interprets the performances. What would Robert De Niro’s Johnny Boy be without Martin Scorsese’s Caravaggian lighting and framing in 1973's "Mean Streets"? 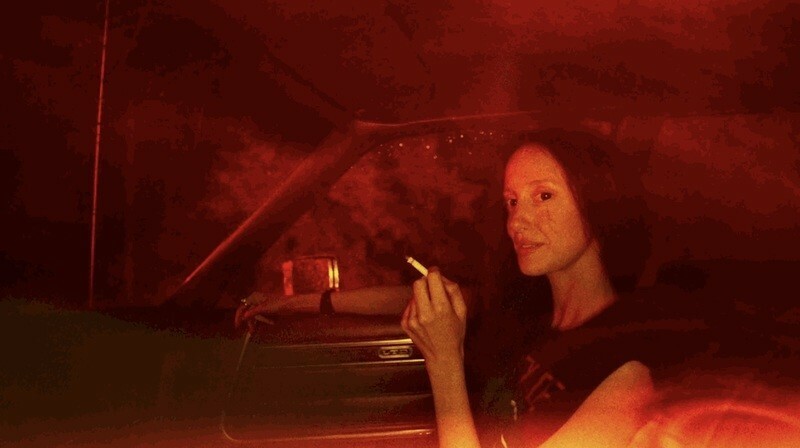 And how would Sissy Spacek’s "Carrie" performance hold up without Brian De Palma’s blood red production aesthetic? Riseborough, a 37-year-old English actress, elevates films by harmonizing with the director’s mise-en-scène, and by keeping the audience engaged. For Armando Iannucci’s political satire "The Death of Stalin," Riseborough represents the grounding force; the mediator of ridiculous men. As Svetlana Stalina, she delivers a Charlie Chaplin-esque performance, speaking with her hands and reacting to contrived male machismo with calculated non-verbals. Alongside loud male performers like Steve Buscemi, Jason Isaacs, and Michael Palin, Riseborough punctuates dialogue with her slanted grins, numerous face palms and rhythmic movements within each comedic scenario. Riseborough essentially functions as a frustrated middle child in "The Death of Stalin," a literal sister to the stooge Vasily (Rupert Friend) and a sister-in-spirit to the titular dictator’s proud comrades. In that sense, Iannucci often stages Riseborough in the background (understanding that she’ll deliver something), or to the side as comedic scenes play out for reactionary moments, many of which may not be noticeable until a second viewing. To complement the rapid-fire dialogue, Riseborough uses consistent body motion, primarily with her hands. She exerts nervous energy by repetitively pointing at people, and she then transfers that energy inward via repetitive face palms. Riseborough consistently inhales and exhales, delivering a definitely loud performance, albeit in a different manner than the male leads. In Panos Cosmatos’ "Mandy," Riseborough relies on performative restraint in favor of the narrative structure and her character’s arc. On the surface, Mandy Bloom looks like one of the doomed female characters from the "Friday the 13th" franchise. And it’s no accident that she identifies her home as Crystal Lake. In terms of character, Mandy wears a Mötley Crüe t-shirt and discusses the cosmos with her lumberjack boyfriend Red, portrayed by Nicolas Cage —perhaps THE quintessential loud performer. But what’s special about this dynamic, for both the characters and performers, is that Cage matches Riseborough’s method during Mandy’s first half. Red clearly adores Mandy, and vice versa. Incidentally, character detail, chemistry and performative nuance mesh together to create a magical sense of camaraderie, along with looming danger. To execute her performance as the ill-fated Mandy, Riseborough mutes the physical noise, a la Svetlana Stalina’s swirling hands and finger-pointing, to accentuate her natural features. Riseborough’s presence is fundamental to Mandy’s charm, most notably her large eyes and peering gaze. In an early sequence, Cosmatos presents a close-up of Mandy emerging from a lake, a shot that simultaneously establishes the character’s psychological effect on Red while informing the audience about a dark wave of energy. In a subsequent sequence, Riseborough breaks the fourth wall — a wink of the eye to the viewer — while telling Red a cryptic story about dead starlings, much like how she briefly breaks the fourth wall during one of "The Death of Stalin"’s liveliest sequences. In that film, her eye contact with the camera feels like an easter egg. In "Mandy," however, her direct gaze creates a more potent connection; a blurring of the line between character and performer. When fate catches up with Mandy, all of Riseborough’s small character tweaks come into play, as it’s not hard to see her face in the fire. It all adds up, it all comes together. Riseborough often gets left out of "Mandy" discussions because her performance is so quiet and subdued. (I listened to a couple Blumhouse podcasts and the hosts barely acknowledge her role.) She speaks like a chilled-out Siri and glides like an angel on earth. Essentially, Riseborough pulls back the singular string on her bow during the majority of Mandy, and then shoots a sharpened arrow for one perfect shot, one defining moment. And that moment comes midway through when Mandy accepts her fate and unleashes a primal scream, thus destroying the flimsy ego of Linus Roache’s cult figure Jeremiah Sand. For Cosmatos, Riseborough must depart from the Mandy narrative in order for Cage to flip the switch, and her final seconds ensure that audiences won’t soon forget that laugh, those eyes, and the internalized pain that suddenly explodes into the cinematic universe—a giant FU to all the painfully un-self-aware men (and women) that Sand represents. Riseborough provides one of cinema’s most rockstar 2018 moments in "Mandy," and she utilizes her full skill set to carry one of the year’s most underrated independent films, Christina Choe’s "Nancy"—a challenging and poignant character study about a female outcast who believes she might’ve been kidnapped as a child. Like Mandy Bloom, Nancy Freeman speaks softly but radiates with energy. In this performance, Riseborough carries herself more like Wayne World’s Garth Algar than a care-free flower child. She balances nervous energy with overt smugness, suggesting that Nancy could either be a pathological liar or maybe just a woman struggling with depression. This time, Riseborough focuses on her character’s eyes and lips; when Nancy clearly deceives people early on, her eyes dart back and forth while her lips curl from side to side — not a quiver, per se, but rather a nervous character tick to suggest unease. Riseborough also slows down the narrative pace in "Nancy," as her character’s interpersonal experiences lead to highly awkward moments, much like the person who makes a perfectly normal statement in conversation but waits for a reaction. Based on Riseborough’s character interpretation, however, Nancy seems to be a self-aware individual. Because Nancy comes across as a quiet outcast, Riseborough’s subtle character quirks have a jolting effect as the drama escalates. She adopts a regional, Fargo-like accent, all the while speaking from her throat and raising her shoulders during moments of tension. In some of Nancy’s early scenes, Riseborough’s body language suggests her character is confident in selling deception, even if her facial expressions betray her posture as a whole. In this role, Riseborough’s performance allows for various interpretations, as Nancy doesn’t have the public profile of Svetlana Stalina, nor does she have a a strong romantic connection like Mandy Bloom. Nancy must survive on her own, even if her potential birth mother and father are willing to lend a helping hand by offering love and a new life. In "The Death of Stalin," Svetlana Stalina wears her heart on her sleeve no matter what, and Mandy Bloom speaks the truth in all situations. Nancy, however, could be a distant cousin of Ryan Gosling’s "Drive" charactertough to read, ready to travel ... ready to run if need be. With Riseborough, one can never be sure which road she’ll take. As a result, the performative nuance and restraint makes her biggest moments so impactful. 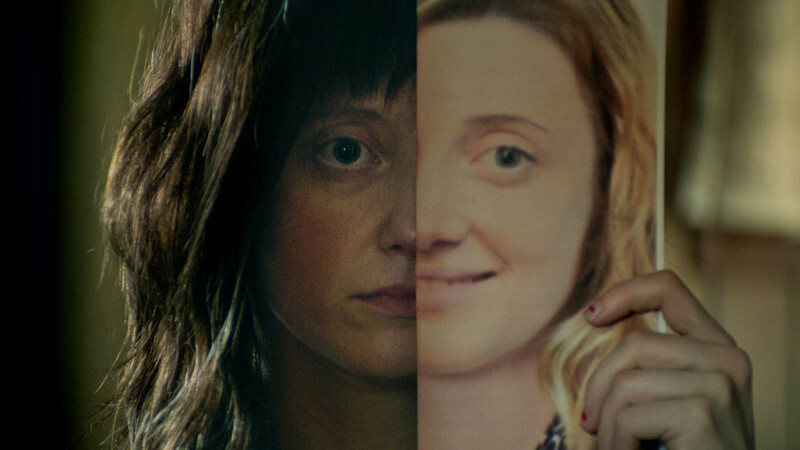 In the future, Andrea Riseborough may evolve into one of cinema’s most iconic performers, one associated with high-profile mainstream roles and big Academy Award moments; she has that type of potential. For now, though, Riseborough remains one of the film industry’s most under-the-radar actresses, as she’s been in the game for over a decade but continues to rapidly evolve and challenge herself. If you’ve seen "Mandy," "Nancy," or "The Death of Stalin," you’re likely a Riseborough fan already. Or at least you should be.